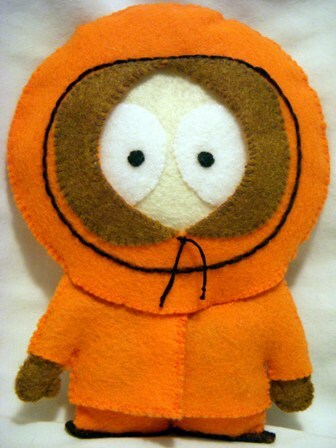 Here's the felt doll I made of Kenny McCormick from South Park. I got tired of waiting for the family photography expert to take some photos, so we'll have to make due with ones I took. 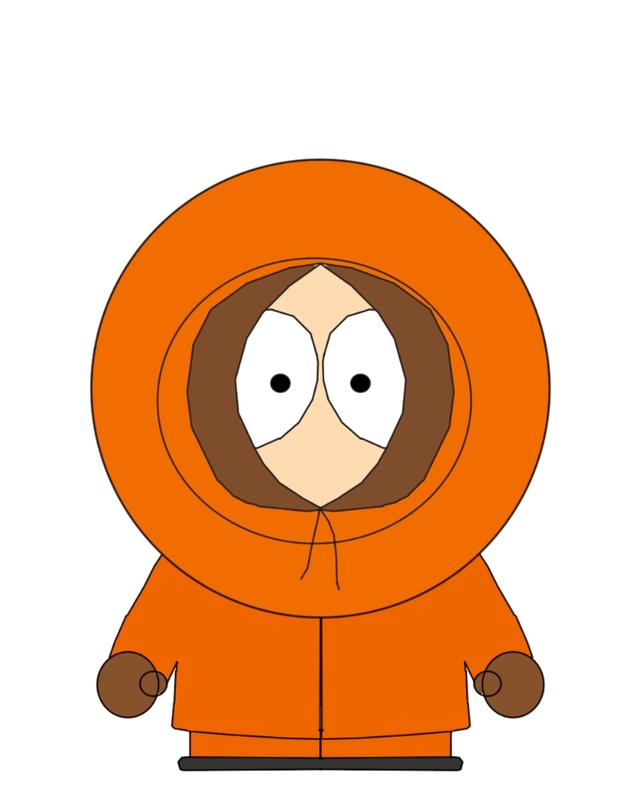 I'm sure most people know Kenny as the guy in the orange parka, but he also has a secret super hero identity - Mysterion. His super power? He can't die. 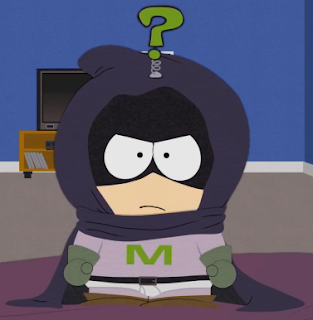 Up until a few years ago I would've said Kyle was my favorite kid from South Park, but after the introduction of Mysterion I've switched my favoritism to Kenny. 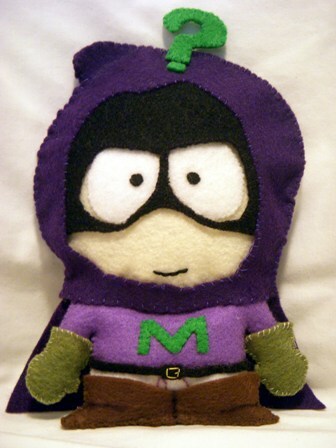 Mysterion is just too awesome! 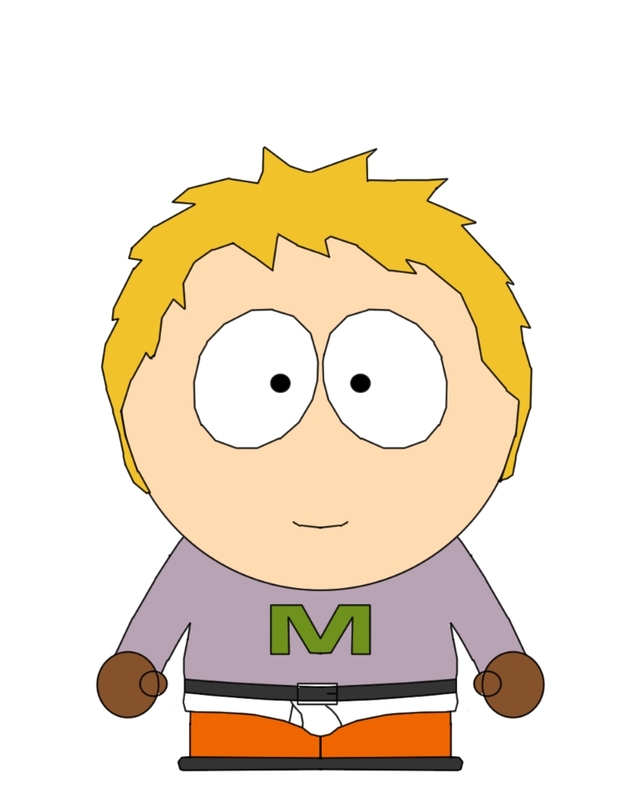 Since I was making Kenny's outfit changeable, I wanted to show his face too. 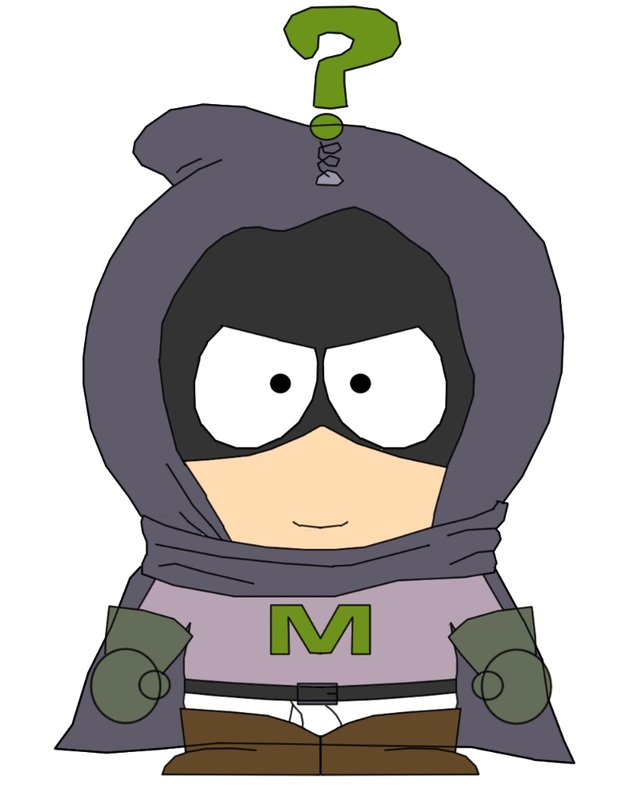 Because I had to fit his hair in under his hoods, I couldn't give him as much as he has in the show. 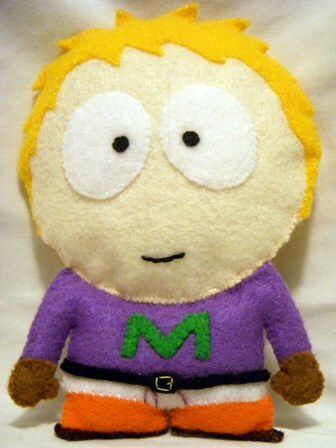 This is what the doll looks like without the removable pieces. 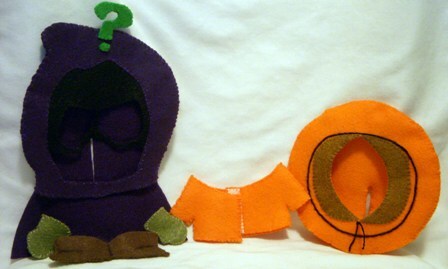 When his orange parka is on only the orange pants are visible and when he's wearing his Mysterion boots the orange pants are covered up. I'm not super happy with the way his chin puckers, but it was the best I could do. Below are my drawings that I used as a pattern to make the doll. 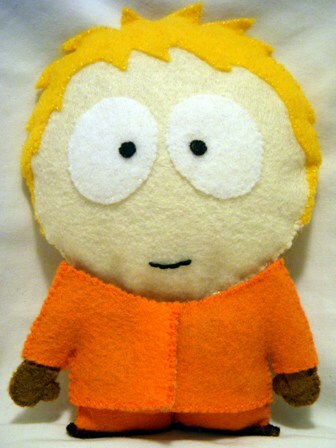 See my IT Crowd Dolls for more information on how I make these dolls.